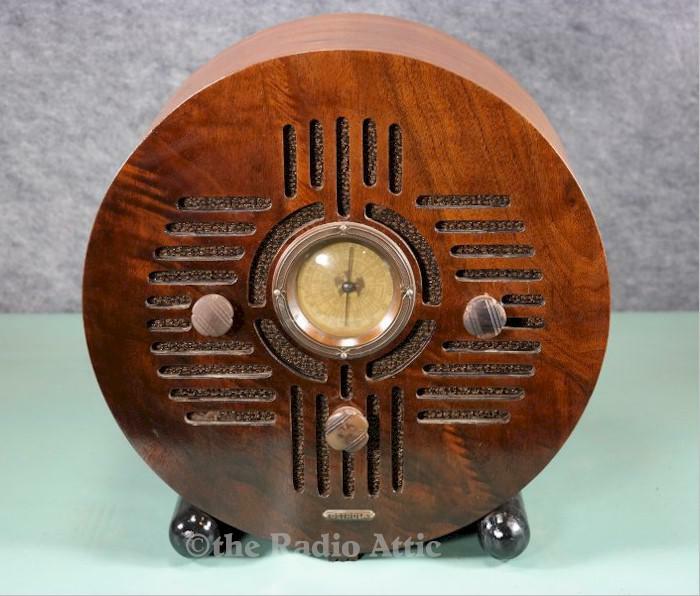 Here I have a very rare wood radio made in Detroit, Michigan. The electronics have been restored to good working condition and it plays well with a long wire for an antenna. I have only seen pictures of one but this is the coolest radio I have ever owned. Now is your chance to own this very rare radio. The cabinet has no veneer issues and the finish is nice. 13"H x 12"W x 7"D.
You are visitor number 835 to this page.